You've never met an opponent like this before. This one's as fast as you are, as tough as you are. And hates to lose even worse than you do. 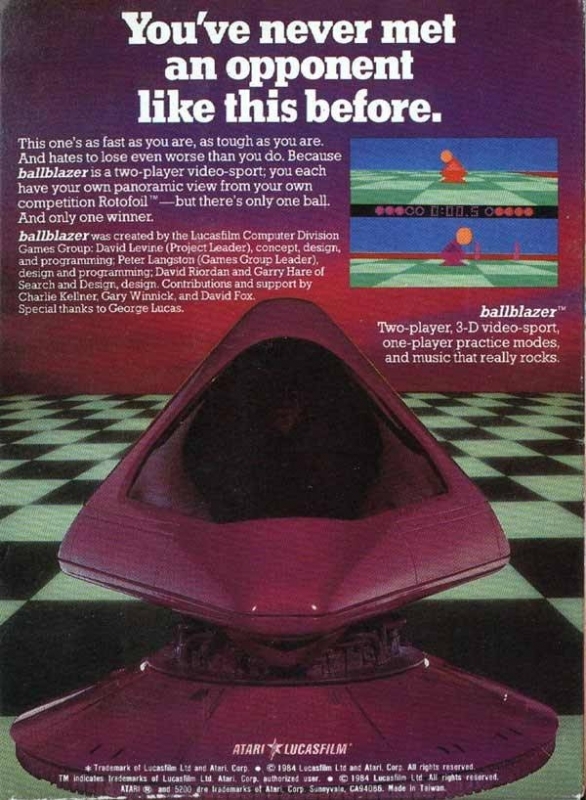 Because ballblazer is a two-player video-spot; you each have your won panoramic view from your own competition Rotofoil - but there's only one ball. And only one winner.